I think is time to have a referendum in this country. Status Quo cannot and will never be allowed to work again in this country. Can you imagine? This is not a banana republic for God sake. 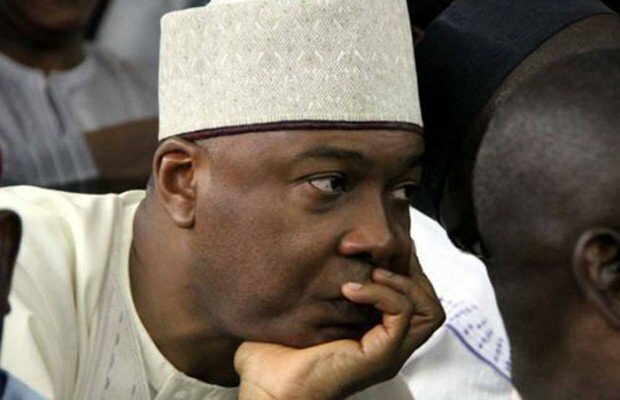 A drama occurred on the floor of the Senate today being Tuesday 4th July, 2017, when a point of order was raised, that the Senate President, Abubakar Bukola Saraki was the Acting President of the Federal Republic of Nigeria. The Senate, upon resumption from its 3 weeks break, received a communication from Professor Yemi Osinbajo, the Acting President of Nigeria, seeking the confirmation of Mr. Lanre Gbajabiamila, as the Director General of National Lottery Regulatory Commission. According to Daily Post, the lawmakers, subjected the letter to deliberations, owing to the fact that the Acting President, had earlier reportedly said the Senate had no power to confirm nominees. Senator Eyinanya Abaribe (Abia South), had raised a motion that the country had no President or Acting President at the moment, adding that, President Muhammadu Buhari and Professor Yemi Osinbajo were neither in the country, as at the time.